There are lots of reasons why you might have to plan an office move. 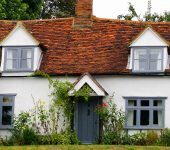 You might be downsizing, you might need larger premises, your landlord might be turning your current office into flats, or numerous other factors forcing you to relocate your business. Chances are that some of your furniture or equipment might be a little too large for your car, but there isn’t quite enough to justify the expense or go through the hassle of getting quotes from a removal company. 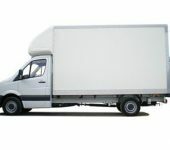 This is where arranging van hire makes sense as a quick, easy, convenient and cheap alternative. It goes without saying, but in order to move your office, the first thing you’ll need is a destination, but once you’ve chosen where you’re going, you’ll need to check if there are any requirements or restrictive covenants like notice periods, contract break clauses or similar in the premises you’re currently occupying. If you’re able to coordinate or negotiate your exit from your existing premises and your arrival at your office move destination well enough, you’ll be able to save money by minimising the overlap between the old and the new premises. Naturally, your office is a place where you work to earn money, so a quick, efficient move which minimises the time between closing down and setting up again elsewhere will is likely to be your aim. If you have staff who can work from home during the move, then it might be worthwhile getting them set up to manage the business remotely while the office move is in progress. Alternatively a move in stages, where the new office is partially set up and staffed before the old one is fully closed down to ensure continuity of service might work better. Whichever option is the best for you, you’ll have to consider the logistics of the move and getting your furniture and equipment from the old office to your new premises, so don’t forget to book your rental van while you’re busy making your other arrangements. If you’re moving desks or other large pieces of furniture, a Luton Van with a tail-lift is likely to take a lot of the hard work out of loading and unloading. If you and your staff will be conducting the office move then there a number of common sense things which can help you make the transition go more smoothly. Make sure you have enough packing materials – From computers to comfy chairs, your office equipment and furniture is as vulnerable as it is valuable. Make sure you have enough packing material to safely protect your essential equipment for its time in transit to make sure that it arrives unscathed and functional at your new premises. Many hands make light work – Getting everyone involved in the move will certainly make packing up and setting up much faster. Whether or not your staff get a little territorial about their own working space, it’s worthwhile getting everyone to pack up and label their own equipment. It might be a good time to ask them to go through their desks and drawers, have a clearout and either take home or bin anything that isn’t necessary for their work well in advance of the office move so that there’s less to pack when the time comes. Prioritise the essentials – There are some things which will be essential to getting your business operational and other things which are far less important, so making sure everyone knows what the priorities are for unpacking will make sure everyone’s on the same page when it comes to setting up again. Label Everything – It takes a little longer to label all your boxes, crates and furniture, but you’ll be glad you did when you arrive at your new premises. After all, it’s almost guaranteed the first things you’ll be searching for are the kettle, the mugs and the tea/coffee, so having a box labelled ‘kitchen’ with all of this in (and everything else in the move similarly organised) will help you organise and unpack efficiently allowing you to get up and running with the minimum of fuss. 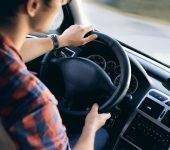 What’s the best rental van for my office move? 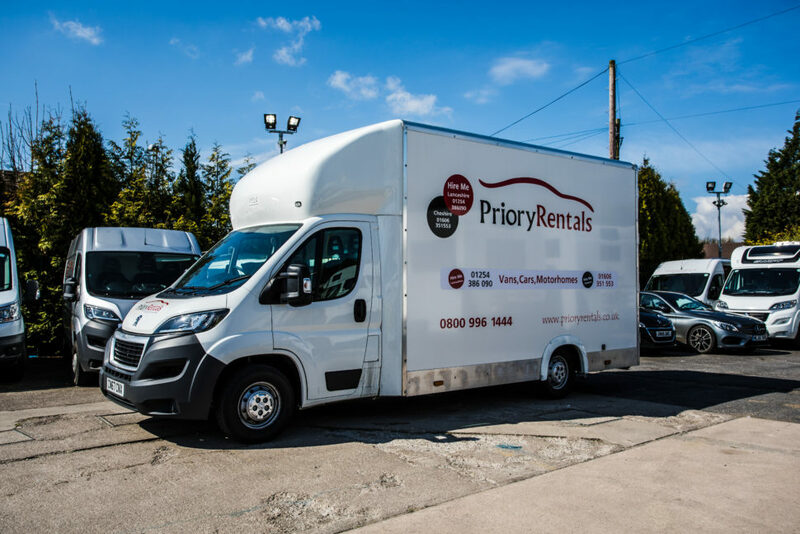 At Priory, we have rental vans of all shapes and sizes suitable for your office move, whether your needs are small or large, we have a van that’ll be perfect to help your office move go smoothly. Contact us once you have your office move date and make your booking. If you need it, we’ll be happy to offer advice on the best rental van for you based on your needs and circumstances.